Come visit us at Travel Big Sky Vacation Rentals. We want to make sure that you are as comfortable as possible during your stay. 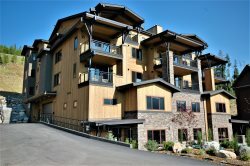 INTERESTED IN PURCHASING A VACATION PROPERTY IN BIG SKY, MONTANA? Visiting Big Sky for the very first time, or maybe its your second or third visit, we can completely understand the incredible feeling one gets in staying here and dreaming about owning a piece of Big Sky for you, your family and friends to enjoy. We can help you with working with experienced real estate brokers that are the best in the business. They live and work in the Big Sky area year round and can offer invaluable insight for buyers and sellers of Big Sky's mountain, meadow village and surrounding properties. Whether you're looking to buy or sell a Big Sky home or condo, the staff at Travel Big Sky are here to help you find the most experienced that Big Sky has to offer.